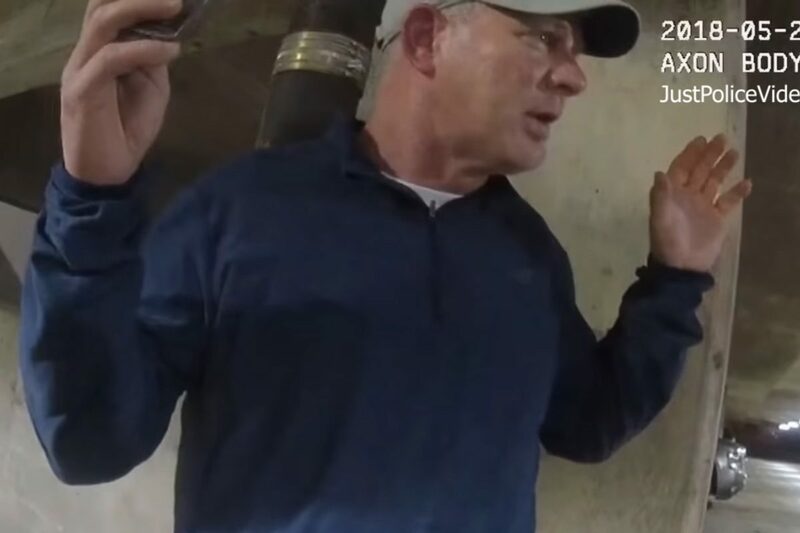 In the latest turn in a bizarre story involving Uber and former Phillies outfielder Lenny Dykstra, officials have released police body cam footage from when Dykstra was arrested after he allegedly threatened to kill his driver last month. The videos, released by Linden Township police, show both Dykstra and his Uber driver, 47-year-old Brian Lutty, professing their innocence to police after the driver came to an abrupt stop in front of the township’s police headquarters. Lutty is seen telling police that Dykstra became agitated and placed what he thought was a gun next to his head, threatening to kill him. Dykstra claimed the Uber driver went crazy because he didn’t immediately know the address of his Staten Island destination. Dykstra also denied owning a gun. Police didn’t find gun, but say the former baseball star was in possession of cocaine, ecstasy, and marijuana when they took him into custody. He was charged with making terroristic threats and various drug offenses, and is scheduled to appear next month at Union County Superior Court in Elizabeth. Following his arrest, Dykstra spent the day joking with fans on Twitter, posting his own mug shot and quoting Taylor Swift lyrics. He also lobbied WIP morning show host Angelo Cataldi to let him be involved in the station’s next Wing Bowl. But in a press conference last week, Dykstra claimed he was the true victim in the incident and intended to seek damages against Uber. Dykstra’s lawyer, Matthew Blit, showed phone records at the press conference that appeared to back up Dykstra’s claim that he called 911. Their authenticity could not be independently verified. Dykstra’s lawyers have filed a false imprisonment charge against Lutty in Linden Municipal Court. According to the New York Post, both Dykstra’s and Lutty’s access to Uber’s app have been temporarily suspended as police continue to investigate. An Uber spokesperson told the Inquirer and Daily News that Dykstra’s allegations were being taken seriously. “What’s been detailed has no place on our app and we’re reviewing the matter,” the spokesperson said. In 2012, Dykstra served a six-and-a-half-month sentence in federal prison after he pleaded guilty to bankruptcy fraud and other charges. Last August, he was accused of sexual harassment on the set of Fox News by Caroline Heldman, an Occidental College politics professor. Heldman said last year that Dykstra “seemed high” during the encounter, which the former outfielder said he couldn’t remember. “He’s 55 years old, and he has spent three years in prison, and his list of alleged legal and moral transgressions is longer than an airplane message banner, and he continues to eliminate any doubt about who he really is and was all along,” my colleague Mike Sielski wrote.